These terms and conditions (the “Terms”) govern your access to and use of Sony Music Entertainment’s websites and mobile applications (“Site”). By accessing or using the Site, you are agreeing to these Terms and entering into a legally binding contract with Sony Music Entertainment (“Sony Music”). It is important that you read carefully and understand the Terms. Do not access or use the Site if you are unwilling or unable to be bound by the Terms. Any references to “you” and “your” refer to you, as a user of the Site. 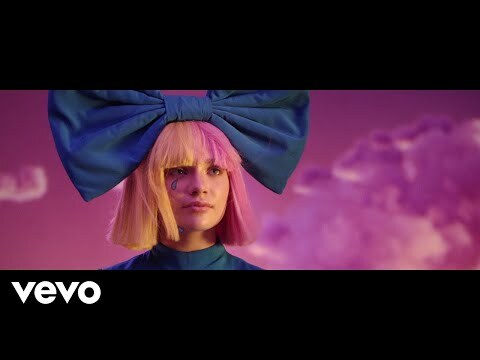 References to “we”, “us” and “our” refer to Sony Music. B. Site Availability: The Site may be modified, updated, interrupted, suspended or discontinued at any time, for any or no reason, without notice or liability to Sony Music. A. Responsibility for Your Content: You alone are responsible for the content of your messages, and you agree to indemnify and hold harmless Sony Music and our agents with respect to any claim based upon the transmission of your message(s) and/or posting(s). We reserve the right to remove any messages for any or no reason whatsoever. B. Sony Music’s Right to Use Your Content: By posting messages, uploading files, inputting data, or engaging in any other form of communication through this Site, you are granting Sony Music a royalty-free, perpetual, non-exclusive, unrestricted, fully transferable, worldwide license to: (1) use, copy, sublicense, adapt, transmit, publicly perform, or display any such communication; and (2) sublicense to third parties the unrestricted right to exercise any of the foregoing rights granted with respect to the communication. The foregoing rights shall include the right to exploit any proprietary rights in such communication, including but not limited to rights under copyright, trademark, service mark or patent laws under any relevant jurisdiction. C. Ownership: All material on the Site, including, but not limited to, text, data, graphics, logos, button icons, images, audio clips, video clips, links, digital downloads, data compilations, and software is owned, controlled by, or licensed to Sony Music and is protected by copyright, trademark, and other intellectual property rights. Material on the Site is made available solely for your personal, non-commercial use and may not be copied, reproduced, republished, modified, uploaded, posted, transmitted, or distributed in any way, including by e-mail or other electronic means, without the express prior written consent of Sony Music in each instance. You may download material intentionally made available for downloading from the Site for your personal, non-commercial use only, provided that you keep intact any and all copyright and other proprietary notices that may appear on such materials. The following rules, policies, and disclaimers shall apply to and/or govern your use of the Site (including, without limitation, any bulletin boards, chat rooms, or other online services provided on this Site). We do not review every message or confirm the accuracy or validity of information posted. We do not actively monitor the contents of the postings and are not responsible for the content of any postings. We do not vouch for or warrant the validity, accuracy, completeness, or usefulness of any message or information posted. The contents of the postings do not represent the views of Sony Music, its labels, or any person or entity associated with Sony Music. If you feel that any posting is objectionable, we encourage you to contact us by email. We will make every effort to remove objectionable content if we deem removal to be warranted. Please understand that removal or editing of any posting is a manual process and might not occur immediately. Sony Music and its employees do not accept or consider unsolicited sound recordings, musical compositions or any other creative materials (collectively, the “Submission”). If, despite our policy, you still have submitted unsolicited material to us then Sony Music will not be obligated to treat your Submission as confidential or proprietary and, by making such a Submission, you will be deemed to have acknowledged that i) Sony Music has no obligation and shall not be liable to you or to any person claiming through you based on such Submission and ii) you relinquish any claim whatsoever based upon your submission. The Site may include links to other websites or applications (each, a “Third Party Site”). Unless otherwise noted, Sony Music does not operate, control or endorse any information, products, or services on any Third Party Site. You agree that we are not responsible for the availability or contents of any Third Party Sites and that your use of any Third Party Site is at your own risk. You agree to indemnify, defend and hold harmless Sony Music and its affiliated companies, officers, directors, employees, agents, licensors, and suppliers from and against all losses, expenses, damages, and costs, including but not limited to reasonable attorneys’ fees, resulting from (i) your access to or use of the Site, (ii) your violation of the Terms, (iii) your use of any products or services purchased or obtained by you in connection with the Site, or (iv) the infringement by you, or any third party using your account, of any intellectual property or other right of any person or entity. Sony Music reserves the right, at your expense, to assume the exclusive defense and control of any matter subject to indemnification by you. PLEASE READ THIS SECTION CAREFULLY SINCE IT LIMITS THE LIABILITY OF SONY MUSIC AND ITS SUBSIDIARIES, AFFILIATES, AND LICENSORS. EACH OF THESE SUBSECTIONS BELOW ONLY APPLIES UP TO THE MAXIMUM EXTENT PERMITTED UNDER APPLICABLE LAW. NOTHING HEREIN IS INTENDED TO LIMIT ANY RIGHTS YOU MAY HAVE WHICH MAY NOT BE LAWFULLY LIMITED. A. THE SITE IS MADE AVAILABLE TO YOU ON AN “AS IS”, “WITH ALL FAULTS” AND “AS AVAILABLE” BASIS. YOUR USE OF THE SITE IS AT YOUR OWN DISCRETION AND RISK. 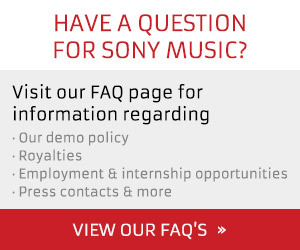 SONY MUSIC MAKES NO CLAIMS OR PROMISES ABOUT THE QUALITY, ACCURACY, OR RELIABILITY OF THE SITE, ITS SAFETY OR SECURITY, OR THE SITE CONTENT. ACCORDINGLY, SONY MUSIC IS NOT LIABLE TO YOU FOR ANY LOSS OR DAMAGE THAT MIGHT ARISE FROM YOUR USE OF THE SITE. B. SONY MUSIC EXPRESSLY DISCLAIMS ALL WARRANTIES, WHETHER EXPRESS OR IMPLIED, INCLUDING, BUT NOT LIMITED TO, ANY IMPLIED WARRANTIES OF MERCHANTABILITY, FITNESS FOR A PARTICULAR PURPOSE, AND NON-INFRINGEMENT. YOU ASSUME TOTAL RESPONSIBILITY AND RISK FOR YOUR USE OF THE SITE. C. SONY MUSIC, ITS AFFILIATES, AND ITS SPONSORS ARE NEITHER RESPONSIBLE NOR LIABLE FOR ANY DIRECT, INDIRECT, INCIDENTAL, CONSEQUENTIAL, SPECIAL, EXEMPLARY, PUNITIVE, OR OTHER DAMAGES ARISING OUT OF OR RELATING IN ANY WAY TO THE SITE OR ANY THIRD PARTY SITE. YOUR SOLE AND EXCLUSIVE RIGHT AND REMEDY IN CASE OF DISSATISFACTION WITH THE SITE, RELATED SERVICES AND/OR ANY THIRD PARTY SITE SHALL BE YOUR TERMINATION AND DISCONTINUATION OF ACCESS TO, OR USE OF THE SITE. D. SONY MUSIC DOES NOT WARRANT THAT THE FUNCTIONS CONTAINED ON THE SITE WILL BE UNINTERRUPTED OR ERROR-FREE, THAT DEFECTS WILL BE CORRECTED, OR THAT THE SITE OR ANY THIRD PARTY SITE, OR THE SERVERS THAT MAKE THEM AVAILABLE, ARE OR WILL BE FREE OF VIRUSES OR OTHER HARMFUL COMPONENTS. E. SONY MUSIC DOES NOT WARRANT OR MAKE ANY REPRESENTATIONS REGARDING THE USE OR THE RESULTS OF THE USE OF THE MATERIALS ON THE SITE OR ANY THIRD PARTY SITE. F. SONY MUSIC MAKES NO REPRESENTATIONS OR WARRANTIES REGARDING HOW OFTEN THE MATERIALS OR INFORMATION POSTED ON THE SITE WILL BE UPDATED (IF AT ALL) OR THE NUMBER OR IDENTIFICATION OF THE RECORDING ARTISTS OR OTHER INDIVIDUALS (IF ANY) THAT WILL BE FEATURED ON THE SITE. Although this Site is accessible worldwide, not all products or services discussed or referenced on this Site are available to all persons or in all geographic locations. Sony Music reserves the right to limit, in its sole discretion, the provision and quantity of any product or service to any person or geographic area it so desires. Any offer for any product or service made in this Site is void where prohibited. If you wish to purchase products or services described on the Site, you may be asked to supply certain information including credit card or other payment information. By initiating a transaction you warrant and represent that you (A) are eighteen (18) years of age or older and (B) have the legal right to use the payment means you select. You agree that all information that you provide will be accurate, complete and current. You agree to pay all charges, including shipping and handling charges, incurred by users of your credit card or other payment mechanism at the prices in effect when such charges are incurred. You will also be responsible for paying any applicable taxes relating to your purchases. Sony Music will be entitled to change the pricing and availability of any particular product(s) or service(s) without prior notice at any time. Sony Music does not offer refunds in the event of temporary or permanent price drops following purchase at higher prices. All sales of digital content are final. D. Any failure by Sony Music to exercise or enforce any right or provision of the Terms does not constitute a waiver of such right or provision. The failure of either party to exercise in any respect any right provided for herein shall not be deemed a waiver of any further rights hereunder. E. The Terms are not assignable, transferable or sublicensable by you except with Sony Music’s prior written consent, but may be assigned or transferred by us without restriction. Any assignment attempted to be made in violation of the Terms shall be void.